According to urban legend (mostly my mom), I have been humming, singing, dancing, and toe-tapping my way through life since I was but a small human. Not a single car ride would go by without me requesting my favorite cassette tape be popped into the car player; I wouldn’t be able to sleep unless the “lullaby tape” was played at night. My parents, both lovers and players of musical instruments, raised me and my siblings in a house full of song. We all play different instruments and no family dinner is complete without turning on our favorite radio station or picking out a CD to play. You probably won’t catch me on campus without some earbuds in ready to take on the day. Not to mention that walking to the beat of a good jam throughout campus can make me feel extremely important and like the star in my own music video. Anyone else? If not, please try it and let me know how I changed your life for the better. I have been taking a music education class about incorporating the arts into a classroom. As a future educator, I am looking forward to being able to weave various forms of the arts into my lessons. The power of the arts is vast and wonderful. It is far reaching, and affects every single person in a different way. 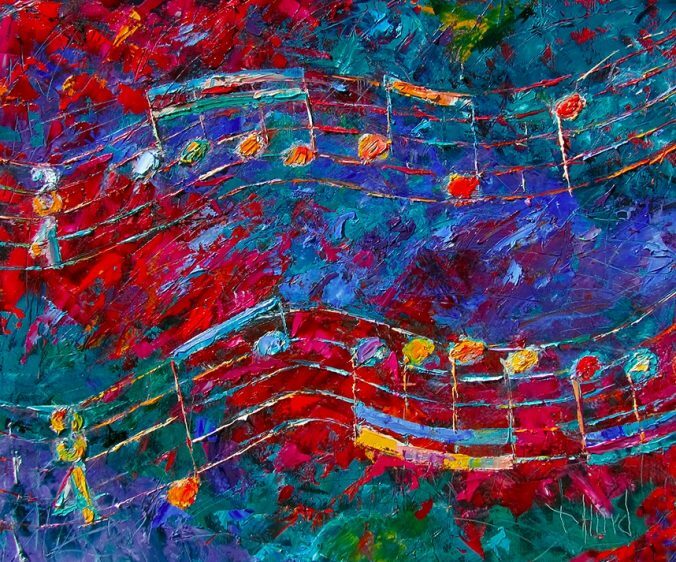 Music is so beautiful because, as some people say, it is the universal language. What words cannot express, song fulfills. The other day I witnessed yet again how music can enrich our lives. On Wednesday nights, UD’s chapter of Yes U Can hosts swim nights, where adults with limited mobility or disabilities work on rehabilitation in the pool. I volunteered to help out, and was paired with a woman that wasn’t really sure what she wanted to do. She seemed like she just wanted to get out of the pool – I don’t blame her, it’s pretty cold in there! After trying a couple of different exercises, we were having trouble getting into a good rhythm. Then, like the sound of angels from above, Fergie’s “Fergalicious” began playing over the loudspeakers. As a Zumba aficionado who had recently taken an “Aqua Zumba” class, I asked the woman I was working with if she wanted to dance. As soon as we started to exercise to the beat of the music, our moods both brightened. We were smiling, laughing, singing along, and ended up forgetting all about the cold pool water. She ended up leading an arm workout to the next song that played and I was sore for two days. I am constantly amazed at how something as simple and wonderful as a song can change a moment. UD has an abundance of ways to feel the beat. The music department has an event almost every night, whether that be from a senior recital to a faculty jazz concert. Next time you’re looking for something to do, maybe check out your talented peers playing in the symphonic orchestra, band, and wind ensemble. I recently saw HTAC’s performance of Dogfight, where a cruel event in which Marines try to take the ugliest girl they can find to a bar turns into an unintended romance. Completely student run and produced, the RSO’s take on the show was both moving and hilarious, leaving many in tears after the first and second acts. They are putting on Pippin May 3, 4th, and 5th and I think you should definitely come. If not for the wonderfully talented cast and crew, check out the pit (of which yours truly is a part of). Not into showtunes? Tune into WVUD, UD’s student run radio station! All I ask of you is to take a moment to fill your life with music. It brings us together in adversity and celebration, and I think we can all better live and understand each other with the help of a song.